Michelle C. from San Antonio, TX signed. Anne P. from Frederick, MD signed. 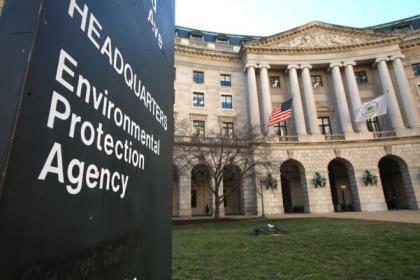 The EPA was once an agency that probably presented good common sense rules for our country, but this agency has jumped the tracks, and cannot be fixed. It's greatest accomplishment in recent years has been driving business and industry out of this country, and destroying jobs. And now they have turned to destroying another industry with claims that cow farts are destroying the environment, citing the EPAs report that says beef and dairy cows [are] by far the largest emitters of methane gas. This agency has lost it's way, and needs to be immediately abolished. Scott F. from Valparaiso, IN signed. No more meaningless and job destroying legislation are wanted. Beryl H. from Cincinnati, OH signed. Robert F. from Spearfish, SD signed. In response to Charles Hurt's op-ed in the Wash.Times March 19, I sent the piece to Gina McCarthy along with some pithy but not rude comments. Arrogance is all those people know. David C. from Onalaska, WA signed. mike b. from Alliance, OH signed. The EPA has been handed way to much power to the detriment of the U.S. Take away its powers or get rid of it. ABOLISH THIS RADICAL EPA . Rebecca S. from Rushville, NE signed. HELP, HELP, HELP. HELP OR LEAVE OFFICE. Water rights for property owners has been a primary right. The government is not able to manage any thing they take over. What they do take over is mismanaged and sold to the cronnies! The purpose of controlling the water is to send it to those who line the pockets of the government leaders. Leave the water alone, you screwed up the management of timber, wildlife and anything else you do. Disban the EPA! It is all about controlling we the people, we don't need incompetent bureaucrats, who don't know their heads from a hole in the ground! Cheryl H. from San Bruno, CA signed.